In the previous 2 blogs we discussed the Learning Cycle and how this model addresses the process of learning and development at the individual employee level. Let’s explore how competencies support this cycle at the organizational level in more depth through a variety of means. 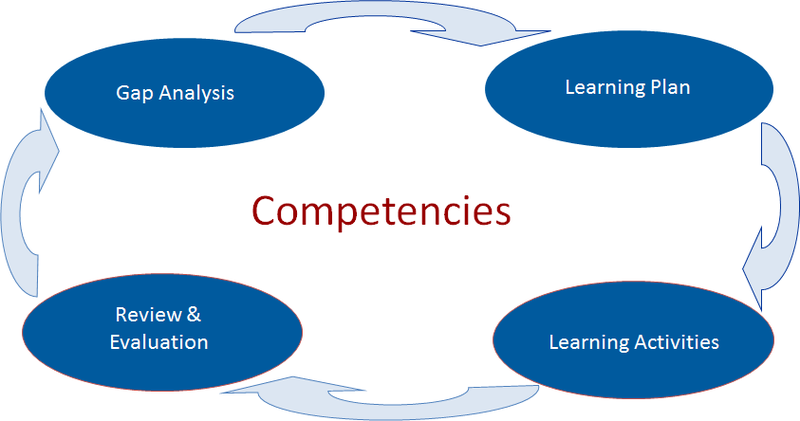 Competencies support the design, development and management of learning within organizations in a number of ways. 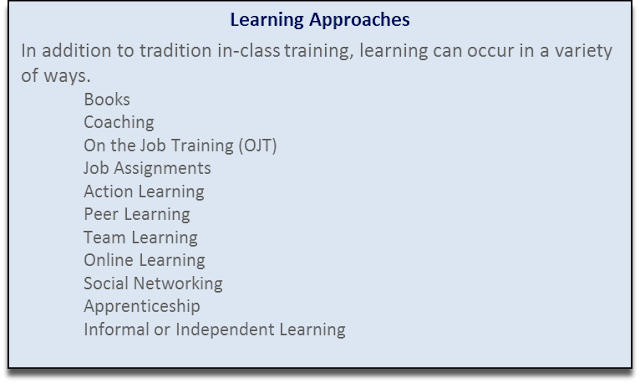 Learning Resources Cataloged by Competency: Organizations can support employee learning by providing a catalog of learning options organized by competencies, often incorporating a variety of learning options, such as: on-the-job assignments / activities; books and written reference material; courses / workshops / conferences; videos / DVDs; e-learning; etc. This information is often delivered via internet or intranet with links to other sites for additional information or course registration. Aggregate Reports on Organizational Gaps in Competencies: Individual gaps in competency requirements can be consolidated into group reports, and decisions can be made on the best strategies for closing the organizational gaps in the most fiscally prudent and cost-effective manner (e.g., instead of sending several employees on “one off” courses or conferences, offer such a program in-house for less money). Curriculum Mapping: Competencies provide the foundation for curriculum mapping. This is the process whereby existing programs (and program elements) can be mapped to the competencies in the organization’s competency library. In this way, courses cataloged according to the competencies they address can be listed in the learning library to support the development and implementation of IDPs. If courses are provided by external suppliers, they can be asked to map their programs, which then can be verified by the buying organization, as necessary. 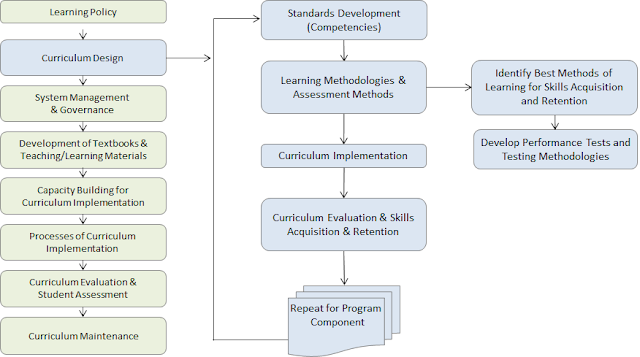 Curriculum Design / Development: Having defined the competencies and behaviors required for success in a particular role, it becomes possible to target the design of curriculum and the development programs to address these requirements. In fact, the competencies support the identification of the learning outcomes for the program. 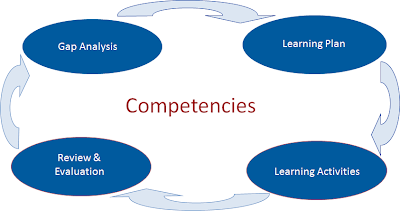 Competencies also serve to support the identification of the best learning approaches and methods to develop the competency, based on the nature of the competency. In addition, curriculum can be developed in a modularized fashion by competency, allowing the organization to quickly assemble a program of learning that will be specifically tailored to address organizational gaps. Comprehensive Multi-method Program Development for High Need Areas: Many organizations establish comprehensive competency-based employee development programs in high need areas. These programs are staged development initiatives that include: formal in-class learning events; planned work assignments aimed at developing certain skills and competencies; self-study components; and, formal assessment to evaluate progress in development as well as to accredit or certify that the employee has gained required competencies and knowledge. In some cases, the employee is promoted to a higher level once certain performance standards have been met. Organizations are increasingly moving to this model of employee development to address current or looming shortages of staff and to ensure that there is a continuing supply of qualified staff to meet future organizational needs. This approach also demonstrates to employees that the organization is committed to their development and advancement within the organization. The next blog in this series addresses how organizations can use competencies as the foundation for assessing the impact and value of the learning initiatives using the latest trends and models on determining the Learning Return on Investment (ROI). Sign up to our blog’s mailing list through the form on the right-hand side to receive the rest of the series in your inbox.